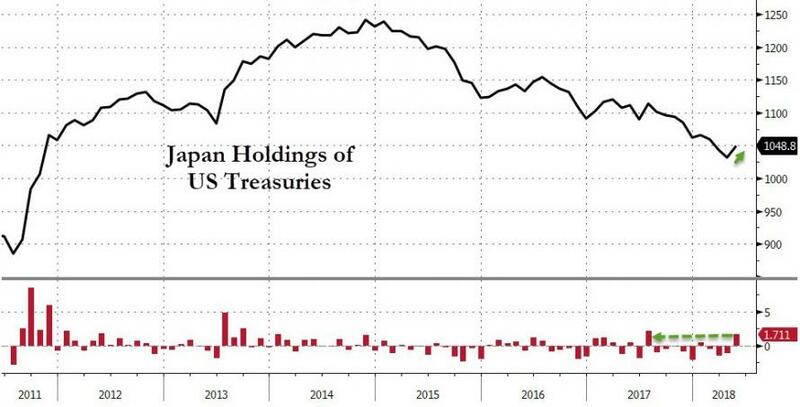 Last month we showed that as Trade Wars began in April, the world's central banks and other official institutions dumped more Treasuries than in any month since January 2016, some $48.3BN, perhaps over concerns of others selling first, and precipitating a sharp move higher in yields. Fast forward one month later to May, when according to the latest just released Treasury International Capital (TIC) update, in May the selling of Treasurys by official entities continued, with another $24BN sold in the month of May, when yields continued to rise and eventually hit the 2018 highs of 3.11%. But while the selling of Treasuries was to be expected - after all someone had to sell aggressively to push yields sharply higher in April and May - the question was who. 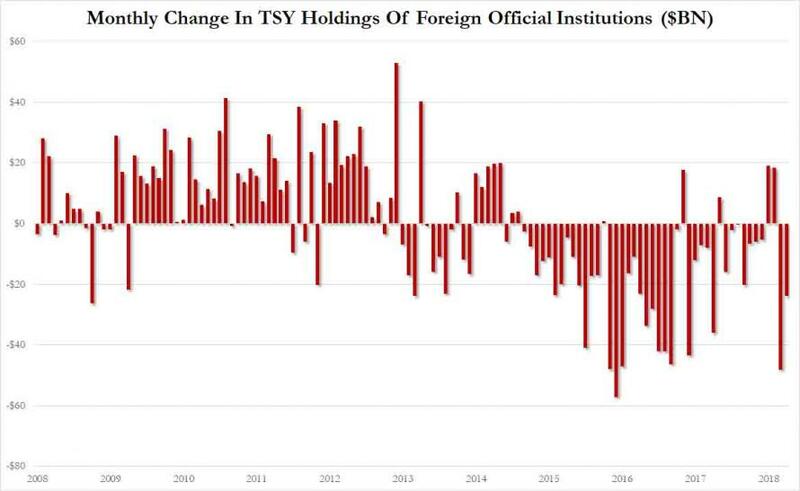 What we showed last month, is that contrary to some speculation, it wasn't Beijing, because after shedding a modest $6BN in April, China actually bought $1.2BN in Treasurys in May, leaving its holdings largely unchanged over the past month. And while Japan did sell $12BN in TSYs in April, it more than made up for its in May when it purchased $17.5BN, bringing its total to $1048.8BN in May, which means that over the past two month, Japan was a net buyer of US paper. Meanwhile, the third most prominent holder, hedge funds, aka "Cayman Islands", bought for a second consecutive month, adding another $5BN. So if the usual suspects were buying, who was selling? 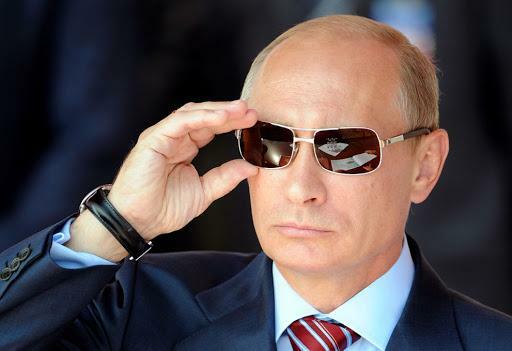 Readers may recall that last month we first reported that for all the confusion about sharply higher yields in April, the explanation was simple: it was Vladimir Putin who liquidated a whopping half of Russia's Treasury holdings, which declined by $47.4BN to just $48.7BN - the lowest since 2008 - from $96BN in March. But wait, it gets better, because as Trump continued to jawbone about more sanctions targeting Russia, Putin did not stop and in May he continued what was an outright liquidation of Russia's TSY holdings, which plunged by another $40BN, or 82%, from $48.7BN to just $9BN in May. Keep in mind this was over $100BN at the start of the year. It appears that When Putin warned he would diversify Russia's state reserves -out of Treasurys - he was serious. And this is what a very politically motivated liquidation of Treasury holdings looks like. 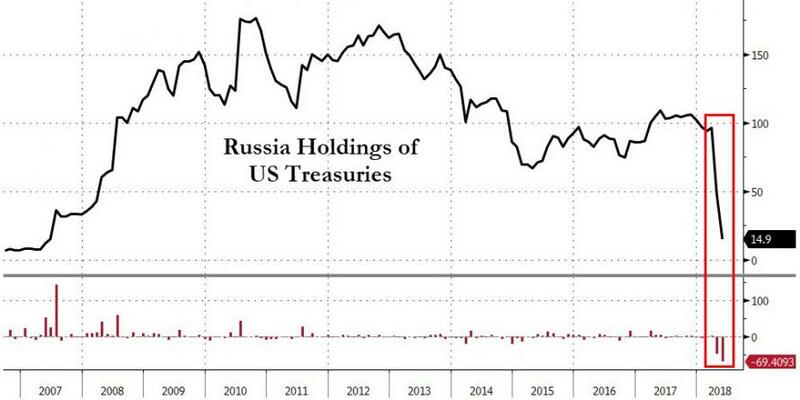 In other words, in just two months, Russia sold a whopping $81BN in treasurys, a liquidation flow that was likely responsible for much if not all the blow out in rates over the period. Because what else happened as Russia was liquidating 85% of its Treasury holdings in 2 months? 10Y yields soared from 2.7% at the start of April to the 7 year high of 3.11% in late May. 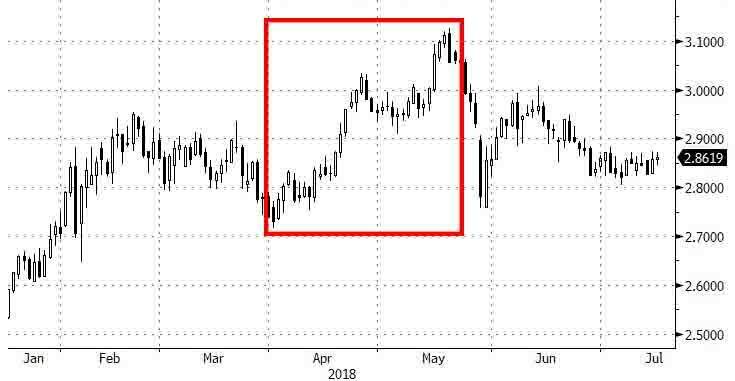 At that point, yields tumbled again as traders freaked out over Trump's escalating trade war with China, and proceeded to rush into deflationary safety. 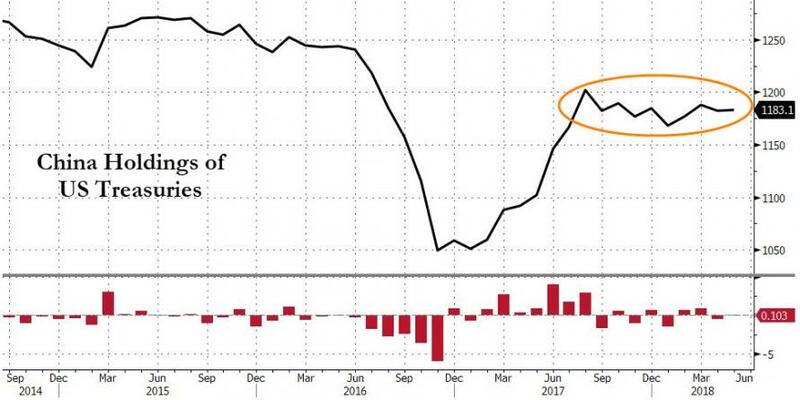 So just like last month, we can't help but wonder - as the Yuan-denominated oil futures were launched, trade wars were threatened, and as more sanctions were unleashed on Russia - if this wasn't a dress-rehearsal, carefully coordinated with Beijing to field test what would happen if/when China also starts to liquidate its own Treasury holdings.